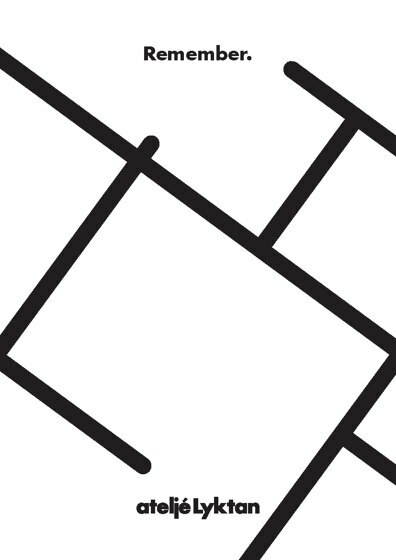 Ateljé Lyktan is a tradition-rich lighting company that develops, manufactures and markets luminaries for both interiors and exteriors, with Swedish design for public areas and demanding customers. 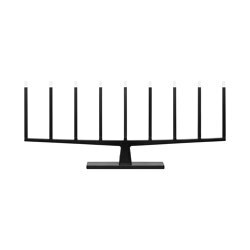 Our vision is to be the most attractive supplier to all of our co-operating partners and customers by innovative solutions and superior design. We will also be extremely aware of the unique demands of our customers and of the demands of the market regarding our products and services. We will contribute to a better environment for our customers and the world we are living in with the latest technique and energy efficient solutions. This is a company we are proud of! Ateljé Lyktan has around 100 employees. Head office is situated in Åhus, Sweden. Showrooms and sales offices also in Stockholm, Göteborg and Malmö. Hans Bergström and his fiancé Verna Norell have got themselves a small place in the handycraft neighbourhood of Helsingborg. Here, they will produce luminaires and weave carpets. Their company is called Ateljé Lyktan. The business is going well from the start and their studio is soon filled with clients eager to shop lamps and textile pieces of art. But it is most of all a great inquiry of the lamps. In 1936 the business moves to the picturesque village Åhus at the east coast of Skåne in southern Sweden. They settle up their company and home and the business now starts up for real. The year before the war ends ateljé Lyktan has increased with sewer and blacksmiths. The space in the first studio has become limited for the increasing crowd of employees and around ten sewers move into the old station house. When the Second World War ends Lyktan exports luminaires outside Sweden. In 1946 ateljé Lyktan has retailers all the way to South Africa. 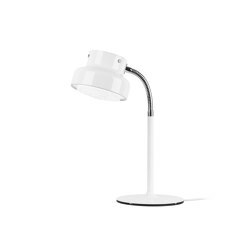 During the last years of the 1940’s the company expands even more and the luminaires and lamps made by Hans Bergström spread across the country. It is above all fancy homes and public areas that will procure his creations in glass and brass. When the hopeful 1950’s enters, new innovations regarding material is waiting to be presented. 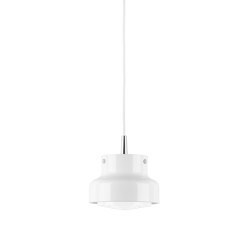 The plastic from America makes it possible for every man and woman to bring the white light from Åhus into their homes. Hans Bergström’s luminaires have been spread international and his products are also represented at the Museum of Modern Art in New York. He has created lighting installations to the Academic Society in Lund which caused great attention, both in Sweden and abroad. At the 10th triennial in Milan in 1954 Hans Bergström rewards one of his most appreciated awards. 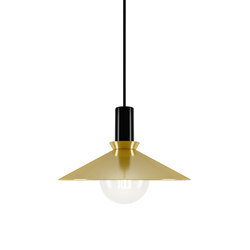 It is the cone formed plastic luminaire, model 181, that rewards a prize for its simplicity and grace. Model 181 is still in production under the name ”Struten” (the cone). 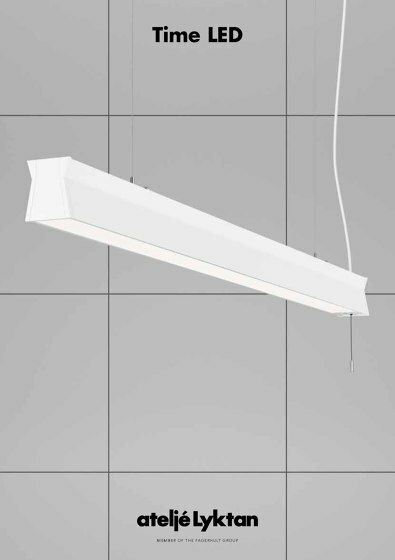 Despite the increasing demand of Bergström’s luminaires the coming years are filled with financial worries for the company. The large extension of the factory at the old station house and restorations and modernizations of their private home have broken down the economy. In 1956 the company is rebuilt to a joint-stock company in cooperation with some other actors, in hope that new money will save the company from bankruptcy. Only a couple of years after this the company is once again near a bankruptcy. Now Swedish Philips comes in as a financial guarantor. It is the end of 1950’s and in 1962 Philips buys the company and owns it until 1964. In 1964 the design manager at Philips is asked to take over the whole business in Åhus. The design manager is 52 years old and his name is Anders Pehrson. His sense of business will be decisive for the future of Ateljé Lyktan. 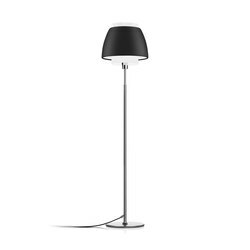 With a feeling of trends and design he sees potential in many of the luminaires and he decides to invest in mass production of some of the most marketable models. This turns out to be a very good investment. 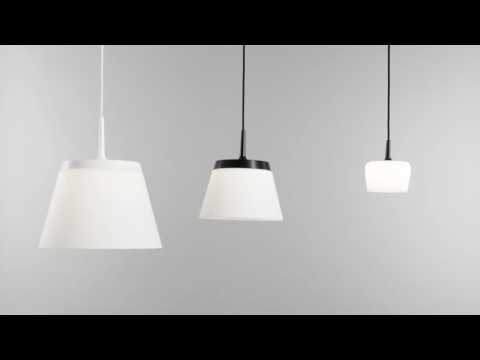 In 1968 he creates and develops one of the greatest success within lighting in Sweden ever – the luminaire family Bumling. Form, function, colour and family are the four standpoints Pehrson have in mind when he creates and markets new products. In 1972 Ateljé Lyktan delivers 16.300 luminaires to the Olympic Games in Munich. This number of luminaires is the greatest order in the company’s history ever. 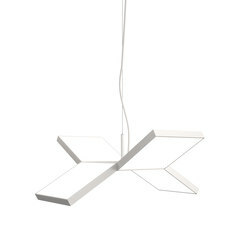 Two years after the Olympic Games Ateljé Lyktan is sold to Fagerhult Lighting. Pehrson continues to work as managing director, leader of art, marketing man and a well-known person during the 70’s. 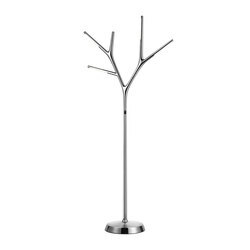 Bumling, Supertube, Tube and Knubbling, among others, will be popular in homes and in public areas. During the following years these models develop in different directions. The factory at “Gärdskan” down in the village is too small for the production Fagerhult has in mind. In 1977 a new factory with office and showroom right outside the village is ready be inaugurated. The opening ceremony becomes a great event and is inaugurated by the Royal Majesty King Carl XVI Gustav. Five years after the opening of the new factory Anders Pehrson passes away some months before his 70th birthday. The new managing director takes the production into a new phase where the main goal is public areas. 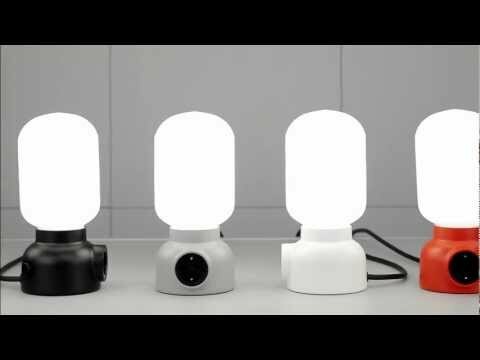 A new light source, the halogen lamp, will be used frequently in new products. 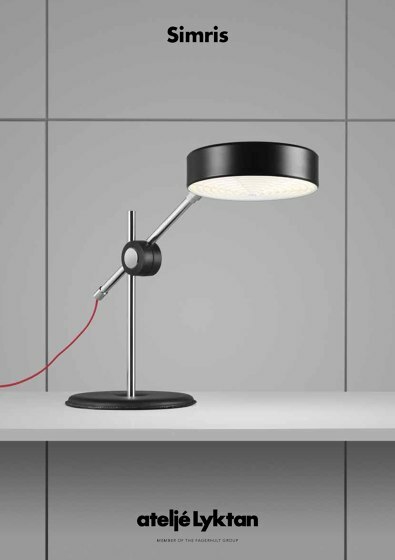 This leads to an almost disappearance of light bulbs in new designed products. The founder of Ateljé Lyktan, Hans Bergström, returns to Åhus after two decades in Malmö and presents new luminaires to the assortment council at Ateljé Lyktan. 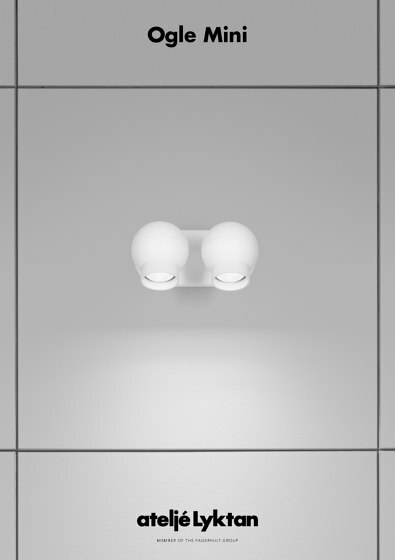 When the 90’s is close a great number of luminaires designed by different designers constitutes the assortment but no one is now longer asking for Supertube and Bumling. 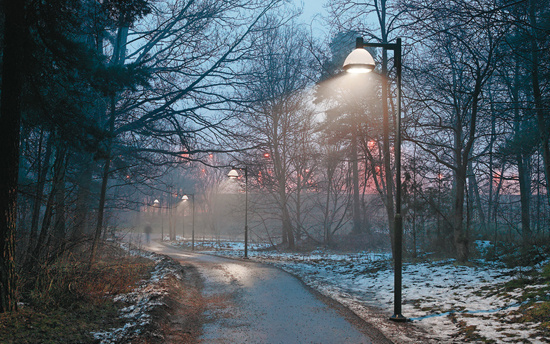 Olle Anderson designs the exterior luminaire Stockholm that can be seen in every little village and big city nowadays. 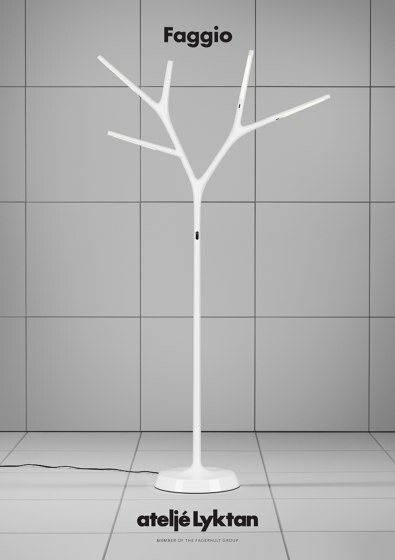 The lighting consult Tommy Govén designs several products that will be really important for the future of Ateljé Lyktan. 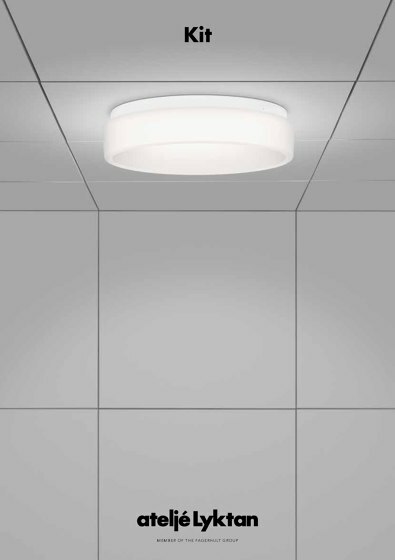 One of Govén’s most successful luminaires is Fovea – the first luminaire in the world designed for the new thin T5 fluorescent lamp. 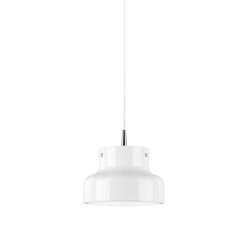 Fovea is still today developing and is a common lighting solution in offices all over Sweden and also abroad. 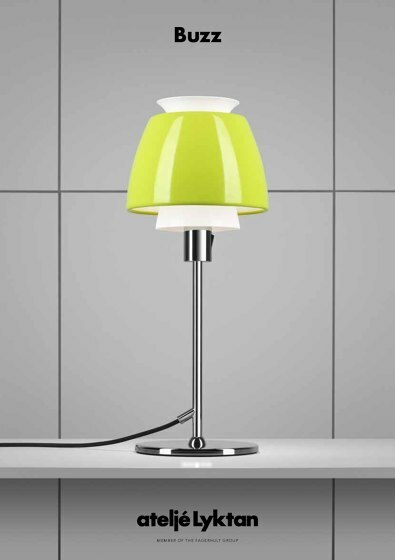 The functional lighting now has to step aside and more space is given to designed products. 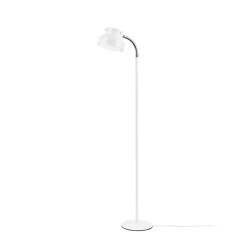 The light bulb is making a comeback in some of the new products and around the millennium Ateljé Lyktan once again shows that form and function are as important as other components. 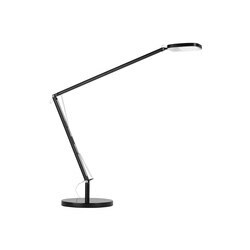 Fovea is showed for the first time at the lighting fair in Hannover in 1996. The same year the founder of Ateljé Lyktan, Hans Bergström, passes away 86 years old. 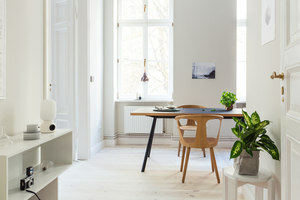 Tundra, designed by Kristin Leibel and Kristian Andréason rewards prize for its splendid design and several other products within the same kind leaves the factory. Mia Cullin designs La Mia and the pendant luminaire Clara can soon be seen at most Mc Donald’s restaurants all over the country. Time, designed by Bengt Källgren, becomes competitor with Fovea, or a complement to Fovea, and Richard Wegele begins his new job as managing director in 2005. A short while after this the company changes its look and the assortment is seen over. 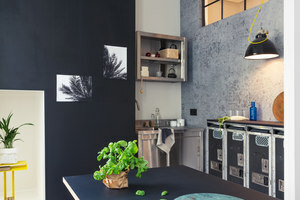 To manage the new image of Ateljé Lyktan a design council is set up, existing of different designers and design offices. The new graphic profile is shown for the first time in May 2007 at a release party in Gothenburg. At the same time there is an increased product development and speed of launch. 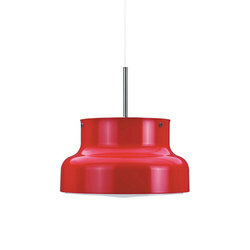 The luminaire family Bebop is launched; a retro inspired luminaire designed by Wingårdhs Architects through Henrik Schulz. 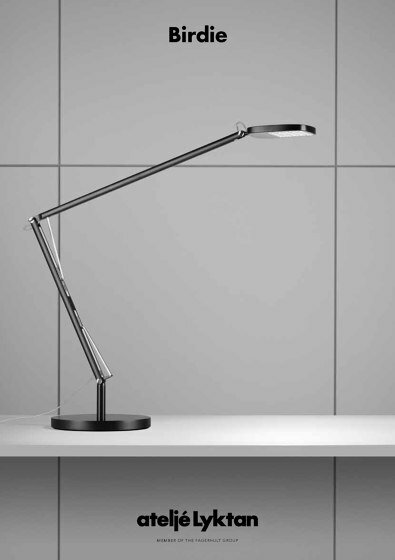 The first LED luminaire is launched; the desk luminaire Tesla. But the LED technique is also applied to an exterior bollard called Origo, designed by Tommy Govén. 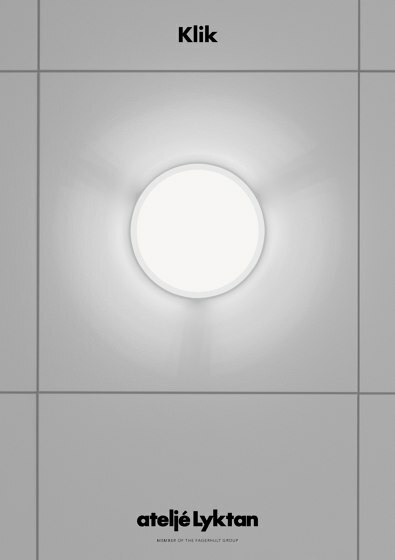 LED is now the big topic of conversation when the light bulb’s time is gone. 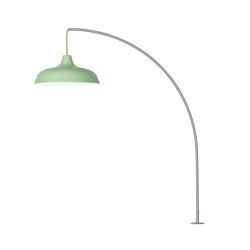 Stefan Borselius designs Bud and Buddy – the wrapping is the luminaire. 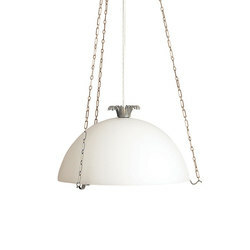 Some months earlier Borselius designed the pendant luminaire Fogg. 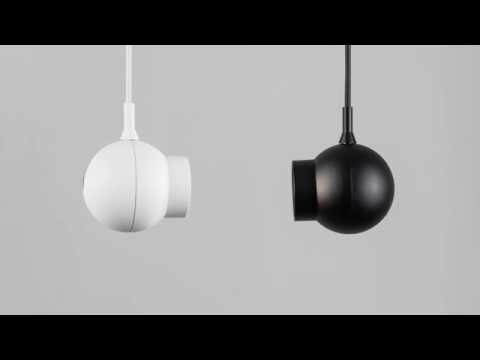 Ogle, designed by the design studio Form Us With Love and equipped with LED, becomes a part of a lighting concept designed for libraries in the underground railways. Olle Lundberg presents a new “big” luminaire family called Megalo with the biggest size Ø1120. When the 75th birthday of Ateljé Lyktan is approaching negotiations have begun with the sports car manufacturer Koenigsegg about creating a luminaire together. This results in a LED luminarie in 75 unique pieces. The luminaire – perhaps the fastest luminaire in the world – is released at the 75th university celebration of Ateljé Lyktan in October 2009.